Does mug betting actually work? We got sick of the arguing (at best) and complete misinformation (at worst) and decided to run a small experiment to see if we could reach a definitive answer one way or the other. At the start of 2019, we got 20 testers on board — 20 modern day heroes — that were willing to potentially jeopardise the long-term health of their betting accounts (and their profits too) in the name of science. We split these 20 testers into two groups of 10; those that would become mug bettors and those that would never do mug betting. Below, you’ll find the results of our experiment and a few bits of commentary too. This experiment does not aim to suggest that we used the best mug betting strategies — far from it. However, we had to devise some simple rules that all testers could follow, so that’s what we did. *A mug bet was only permitted to be a £1 6-fold accumulator at pdds of 20.0 to 500 (unlaid), a £5 treble at odds of 2.0 to 6.0 (unlaid), or a 90-95% match single of £20 (laid), choosing a different one of the three options each time and never choosing an option that would qualify the user for another offer. If the user wished to place a bet on an offer, they’d have to deposit slightly more than needed to ensure they could also afford a mug bet. 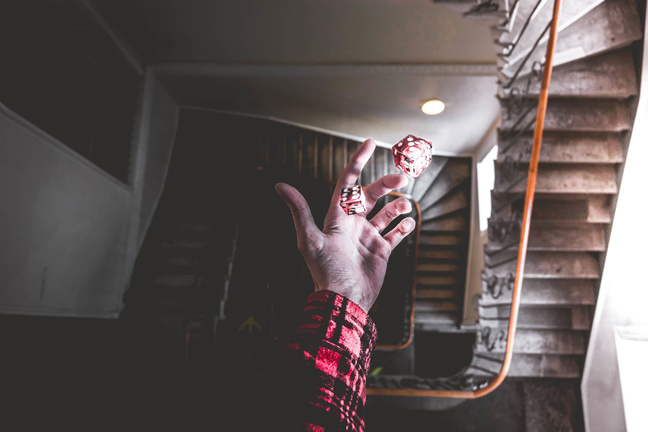 If the user selected to gamble on one of the ‘unlaid’ options, the user would track a £1 loss regardless of the bet’s outcome as this would be approximately the average amount sacrificed in EV, to avoid freak wins occurring and skewing the figures. **For simplicity, ongoing reload offers like 2UP and Double Delight, Hat-Trick Heaven were counted as a qualifying bet (rather than distinguishing them as ‘trigger’ bets or anything else separate). Here, we’re simply going to look at how many bets each group managed to place and how successful they were in terms of efficiency and profits. 1870 qualifying bets were placed by the mug bettors in our 12-week observation period, an average of 15.58 qualifying bets per person per week. The smallest amount of qualifying bets placed by a mug betting tester was 90, and the largest was 253. 1923 qualifying bets were placed by non-mug bettors in our 12-week observation period, an average of 16.03 qualifying bets per person per week. The smallest amount of qualifying bets placed by a non-mug betting tester was 103 and the largest was 240. This could show that people were slightly more efficient at placing qualifying bets when they didn’t have to place mug bets, though the results weren’t too far apart. The most commonly used bookmaker by our testers was Bet365, accounting for almost 25% of the qualifying bets that mug bettors placed and slightly over 26% of the bets that non-mug bettors placed. The second most commonly used bookmaker was SkyBet, mainly due to their good value daily offer at Cheltenham Festival. 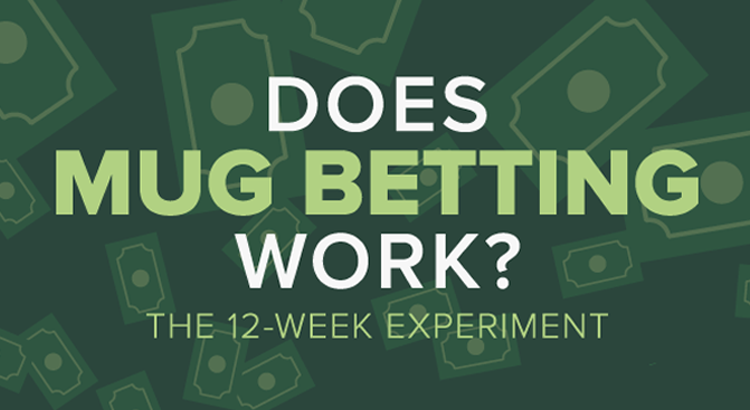 On average, mug bettors made £1,218.98 in profit in the 12-week testing period. The smallest profit made was £515.10. The largest profit made was £1,821.60. On average, non-mug bettors made £1,320.88 in profit in the 12-week testing period. The smallest profit made was £584.25. The largest profit made was £1,800.92. This shows that non-mug bettors made more profit in the observed time period on average. This is unsurprising, with slightly more qualifying bets being placed per tester in this category and with no money being reinvested back into mug bets by this group of testers. What could be slightly surprising is that the difference isn’t higher between the two profit figures; mug bettors did see a higher volume of loyalty bonuses or random free bets being awarded, which probably accounts for this. 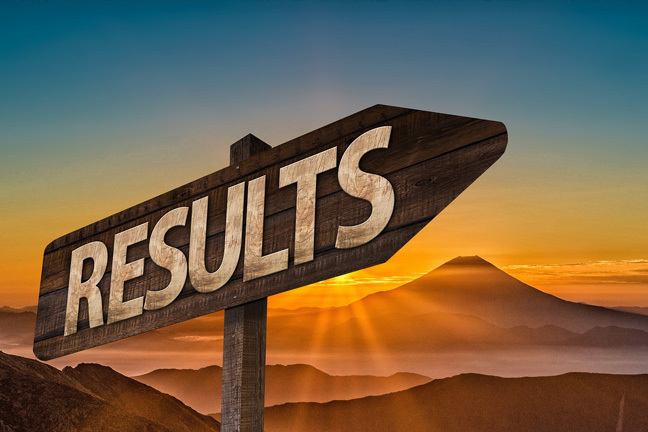 In this section, we’re looking at the 10 main bookmakers we identified for matched betting purposes; Bet365, Paddy Power, SkyBet, Betfred, Ladbrokes, Coral, William Hill, 888, Betfair and BetVictor. This section will also be the primary indicator of the ‘success’ of mug betting. 11 accounts were gubbed in the mug bettor group, an average of 1.1 accounts per person. The fewest quantity of accounts gubbed was 0 (shared by 3 users) and the highest number of accounts gubbed was 2 (shared by 4 users). 31 accounts were gubbed in the non-mug bettor group, an average of 3.1 accounts per person. The fewest quantity of accounts gubbed was 0 and the highest amount was 5 (shared by 2 users). These stats suggest that non-mug bettors do get gubbed and restricted at a much quicker rate than mug bettors do, even though only 0.45 more qualifying bets were placed each week per tester in this category. Of the 10 main bookmakers on our list, the most commonly ‘gubbed by’ bookmaker was BetVictor. 2 accounts were gubbed on BetVictor for mug bettors and 6 were gubbed for non-mug bettors, accounting for over 15% of the entire gubbings in this experiment. The second most gub-heavy bookmaker was, perhaps surprisingly, Bet365. Whilst none of the mug betting testers were gubbed by Bet365, 5 of the non-mug bettors were. These stats go to show that even the biggest bookmakers are tightening up on those that are, quite frankly, taking the p***! 2 mug bettors were gubbed from a ‘big 10’ bookmaker during Cheltenham Festival, compared to 5 non-mug bettors receiving a gubbing — a couple from multiple bookmakers — in the same timeframe. At Beating Betting, we’ve long backed mug betting and the whole game of trying to avoid detection as a winning player. The main reason we’ve backed it is because we’ve always known it worked. We’ve spoken with various people that have worked in bookmaker trading/risk-management departments and we’ve picked up a strong insight into how their systems work. This is something that has been spoken about in our guides and videos before, but in short: we know mug betting works because it helps your account to avoid detection from bookmakers’ most simple account-checking algorithms. That’s right, most people are gubbed by bots, not human traders. However, until now, we’ve not had any data to prove our position. Well, yeah, this is true — you can (and will) still get gubbed as a mug bettor, as shown in the statistics above. No-one has ever said that mug betting will keep your accounts open forever. Rather, the belief was that mug bets help you to prolong the life of your accounts and therefore make more profit over the long-term as a result. The stats back this up, with almost 3 times more gubbings dished out to non-mug bettors than to mug bettors in our experiment. Surprisingly, the differences in profits weren’t as large as we’d have expected, either. Over 12 weeks, the average difference in profit was just £101.90 — £8.49 per week. When you factor in the number of gubbings, we think it’s clear that the mug bettors would soon have significantly more qualifying bet opportunities than the non-mug bettors would have, simply due to having a higher volume of healthy accounts. Based on this, we believe that the profit over the first year would probably be very similar — if not higher in the mug bettors favour. One thing is for sure, at the speed the gubbings were dished out to non-mug bettors in our experiment, your accounts certainly won’t last long if you don’t put a little bit of effort in to maintain them. We’re going to keep this experiment running and plan to do a 12-month update in the future. If you enjoyed this, you might also like our UK Gambling Survey Findings. You are free to use our infographic with correct and proper attribution to Beating Betting. Well done on the gubbing research! Sadly I got ‘Couldn’t verify submission’ trying to get the tips – using three emails. It also has a conclusion, but it doesn’t give me any direction. So as a matched bettor I don’t find it helpful. I would find it helpful if it told me what to do to delay a 365 account gubbing, i.e. Accounts that didn’t get gubbed were doing football acca mug bets, non 5/1 offer horse bets on Saturdays and Sundays. Doesn’t need to be that specific, but offer more than just saying ‘mug betting works’. Hi Dave, the simple mug betting strategies that were used are outlined in the first section of the post. It was hard to be too creative with strategies as we wanted to make sure that all users were placing very similar bets to one another wherever possible, to keep the test as accurate as possible. No users bet on horse racing other than during Cheltenham. Thanks – that is really interesting. Please can you give a break down of the number of gubbings for each bookie? Thanks Sophie! 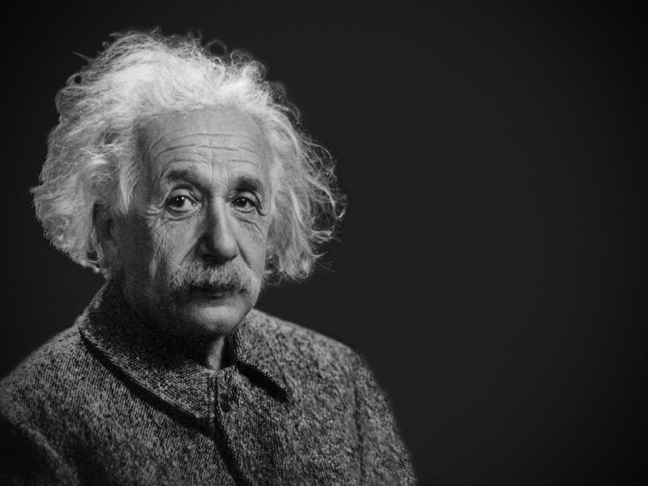 When we return to the experiment results in the future, we’ll see how much more detail we can provide.